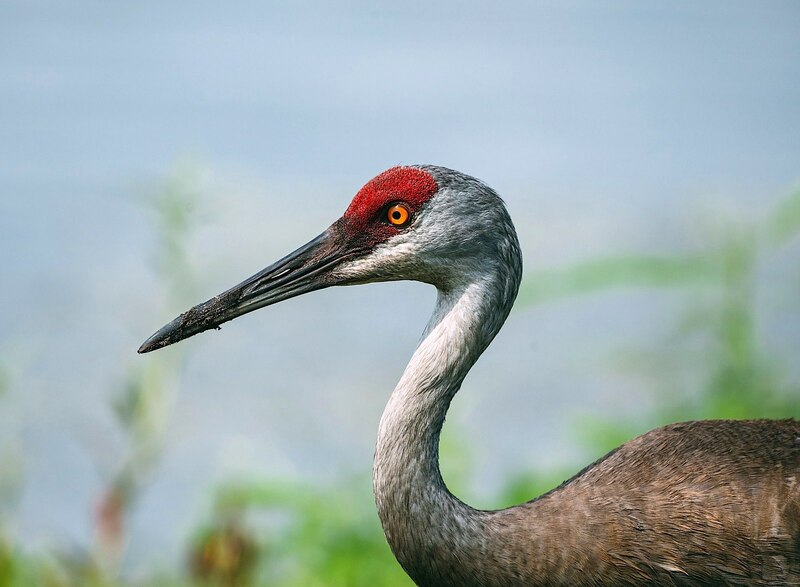 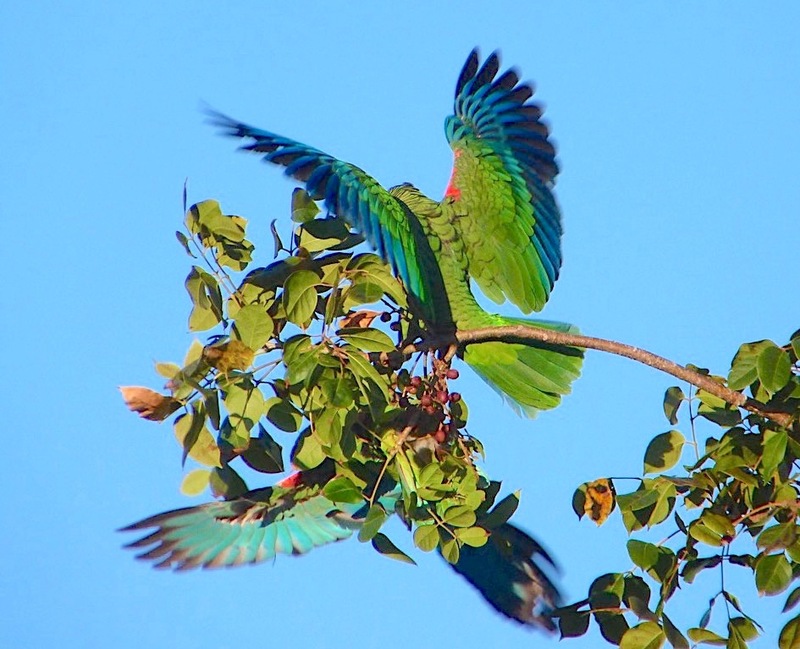 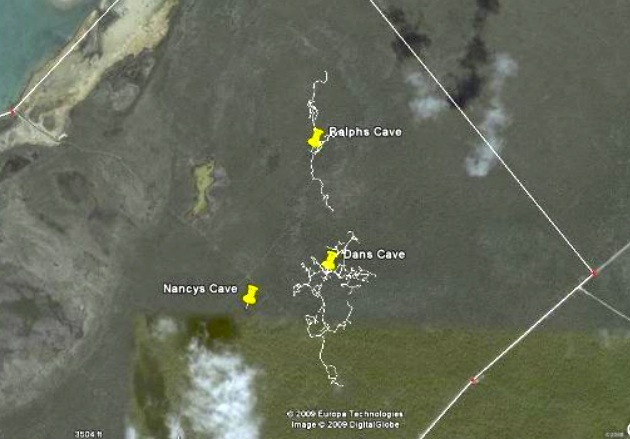 This post is another in a series showcasing the strange and wonderful world that lies beneath the many thousands of acres of pine forest that cover the majority of South Abaco. 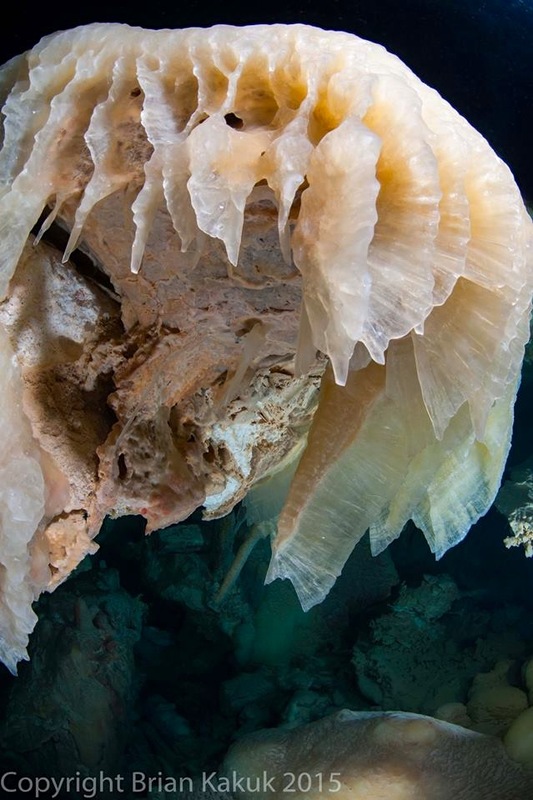 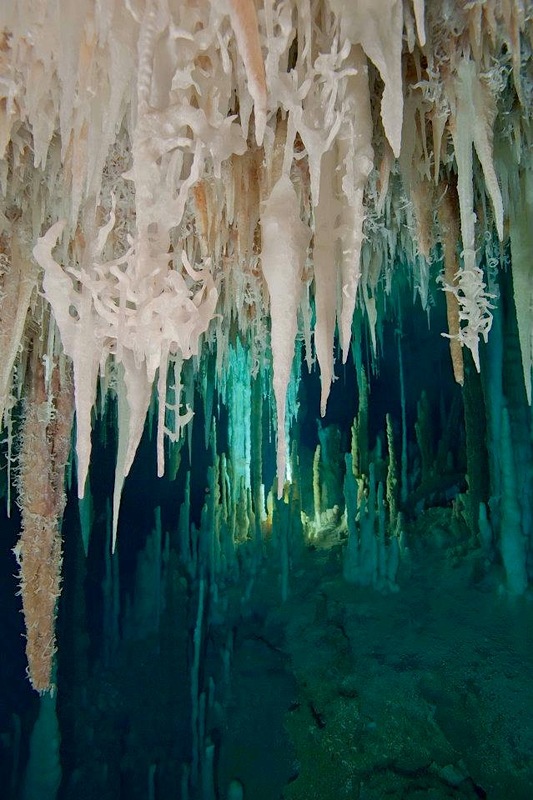 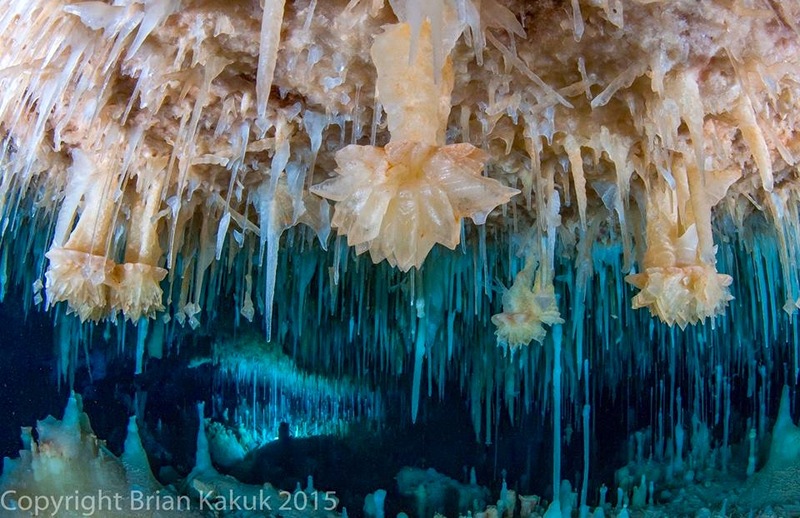 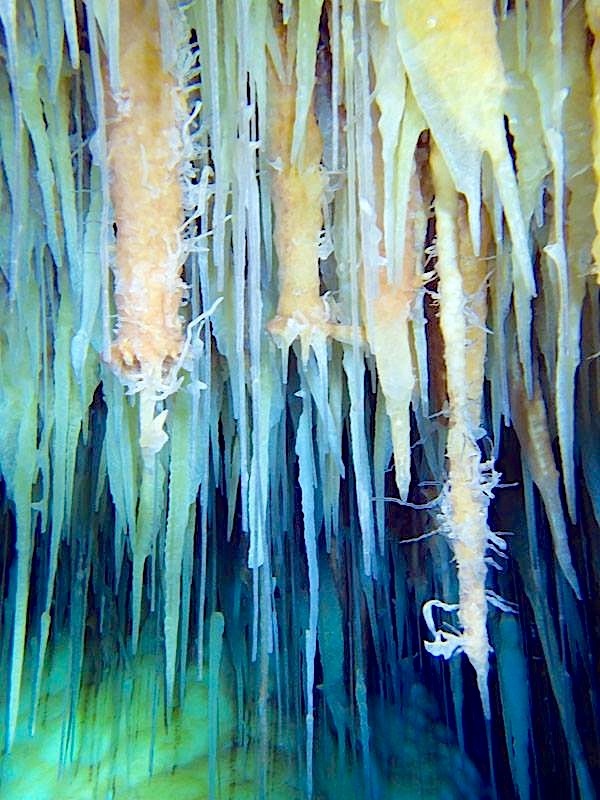 Many thanks to expert cave diver and photographer Brian Kakuk and the Bahamas Caves Research Foundation for use permission to bring you some more unique glimpses of Abaco’s crystal visions. 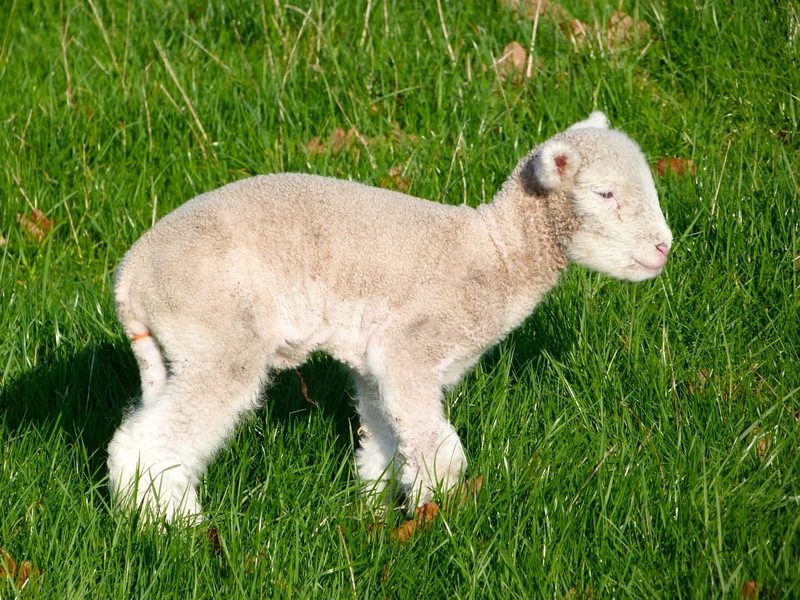 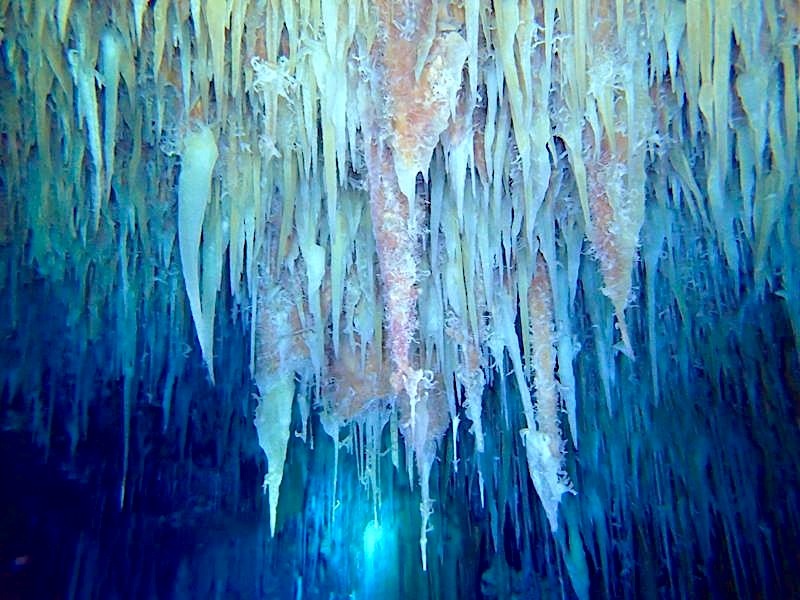 You’ll find some additional links at the end. 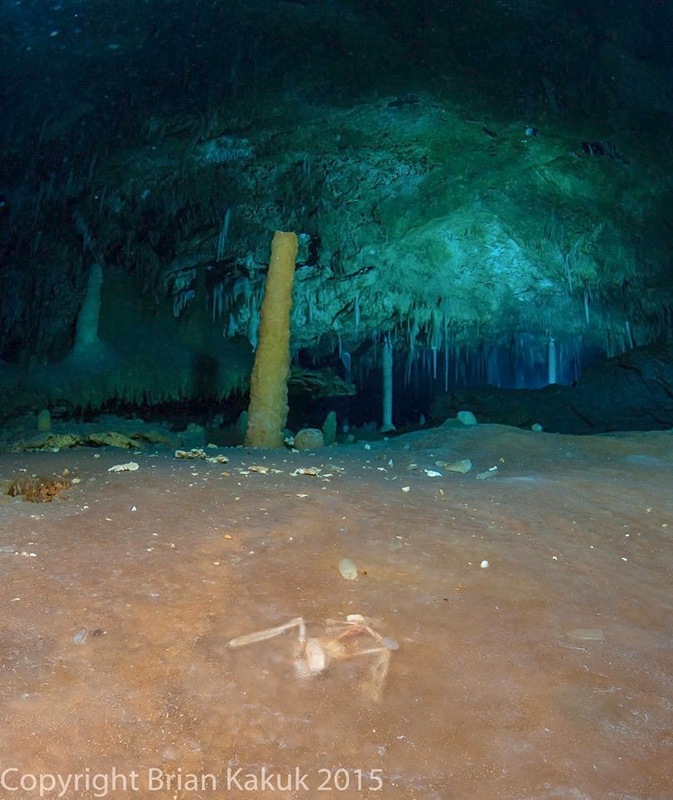 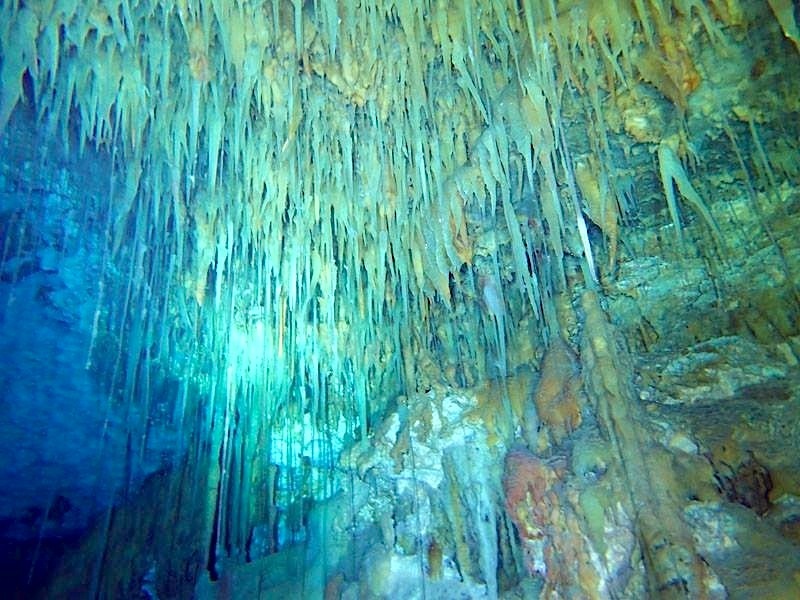 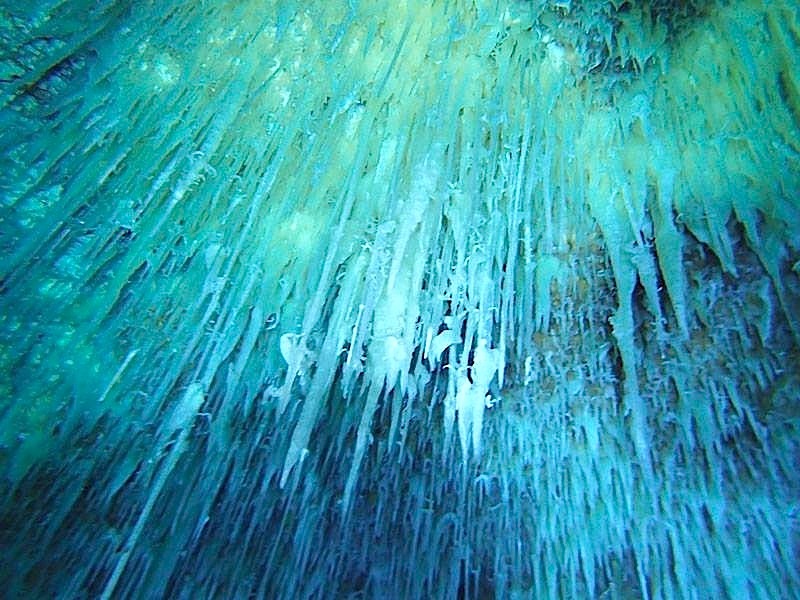 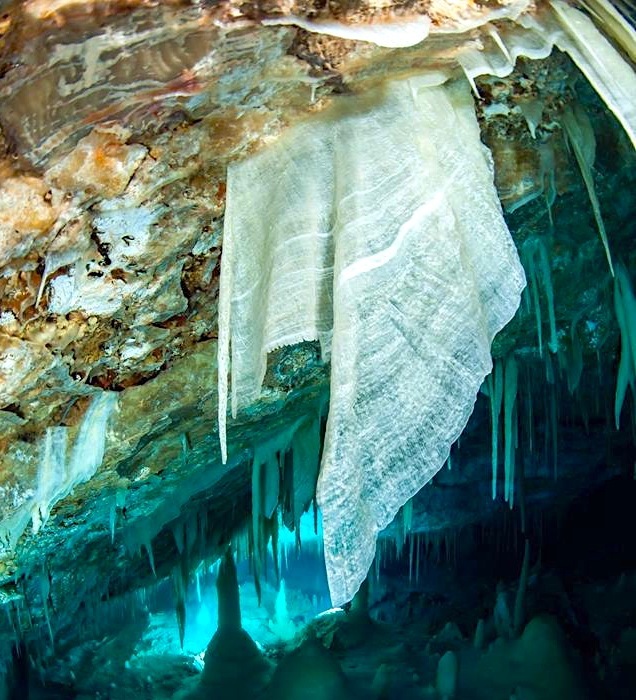 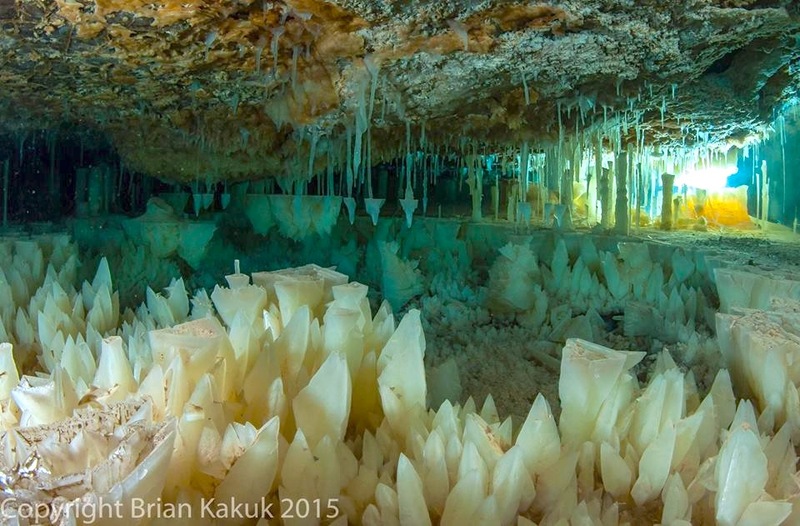 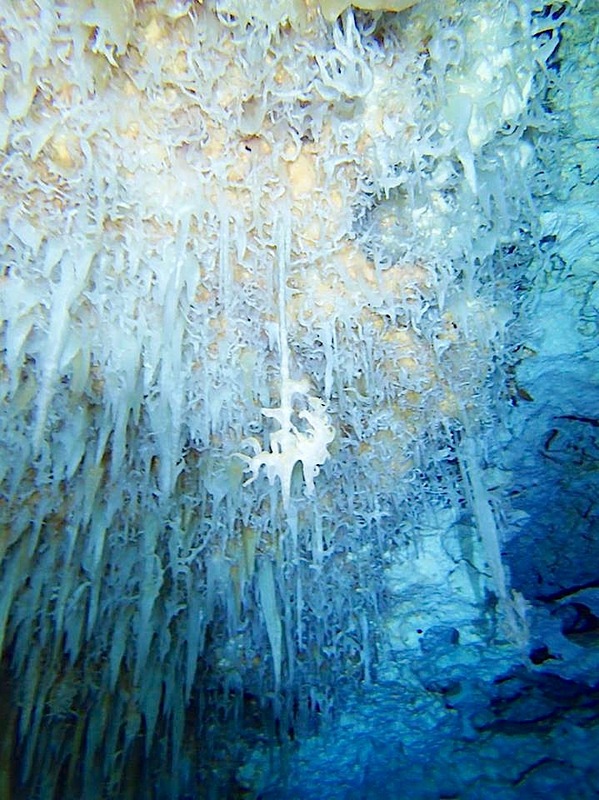 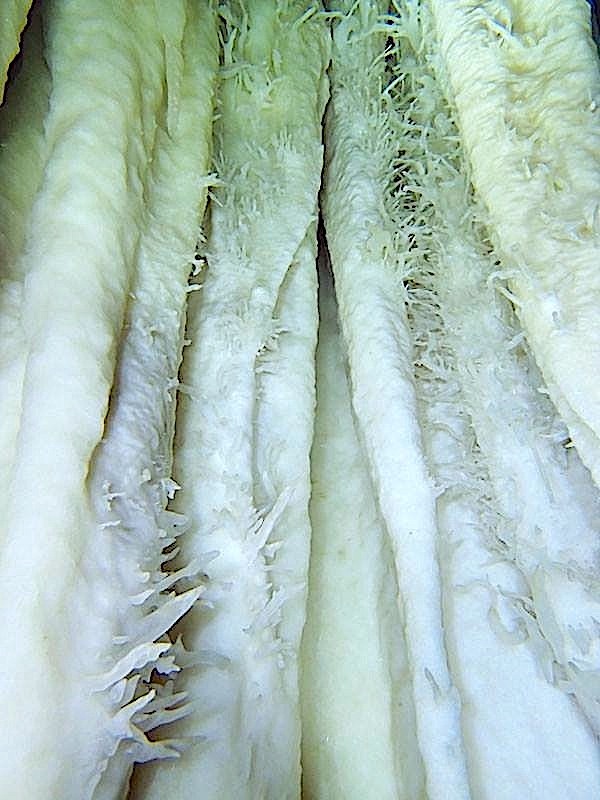 As Brian says, Abaco is an underwater cave photographer’s dream come true. 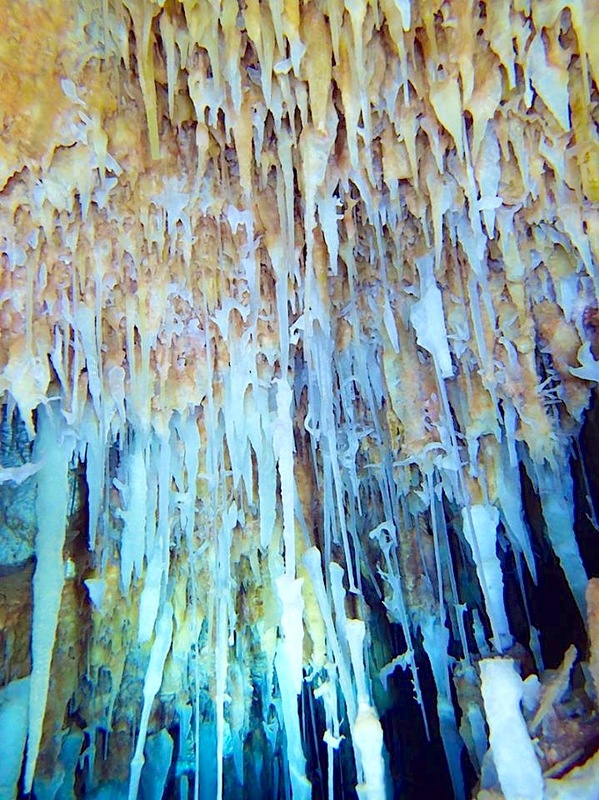 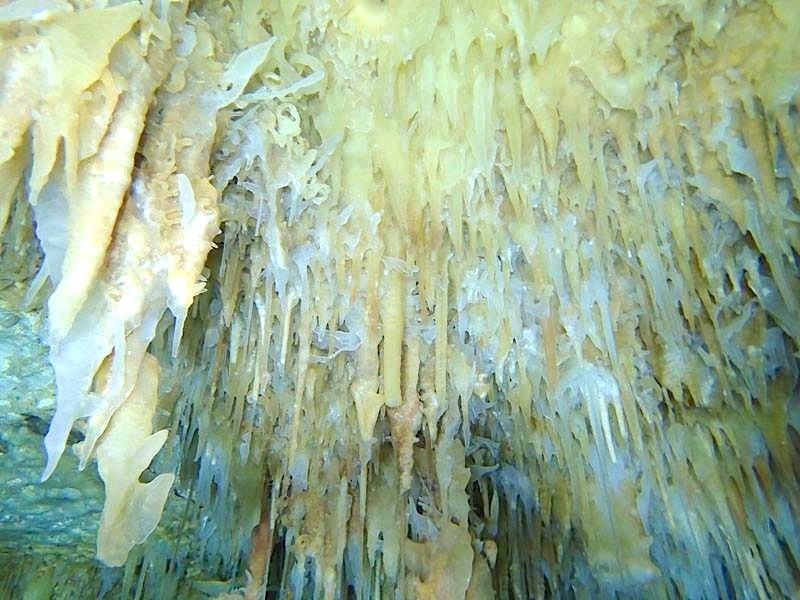 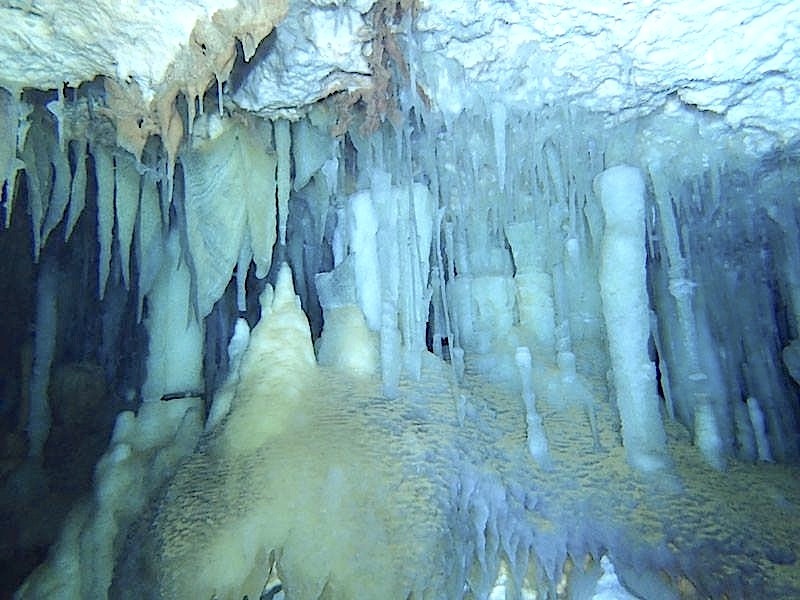 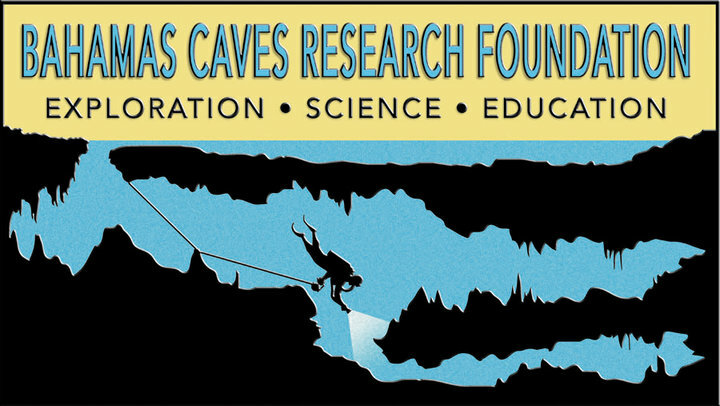 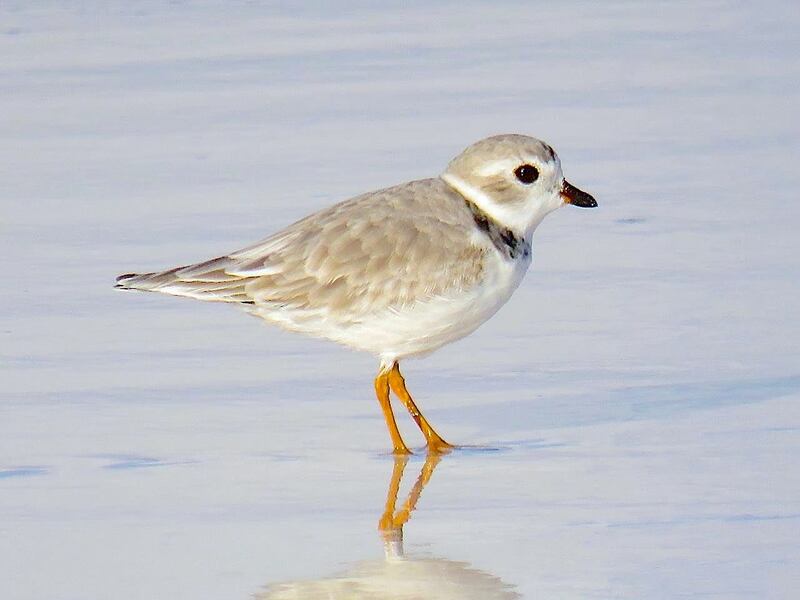 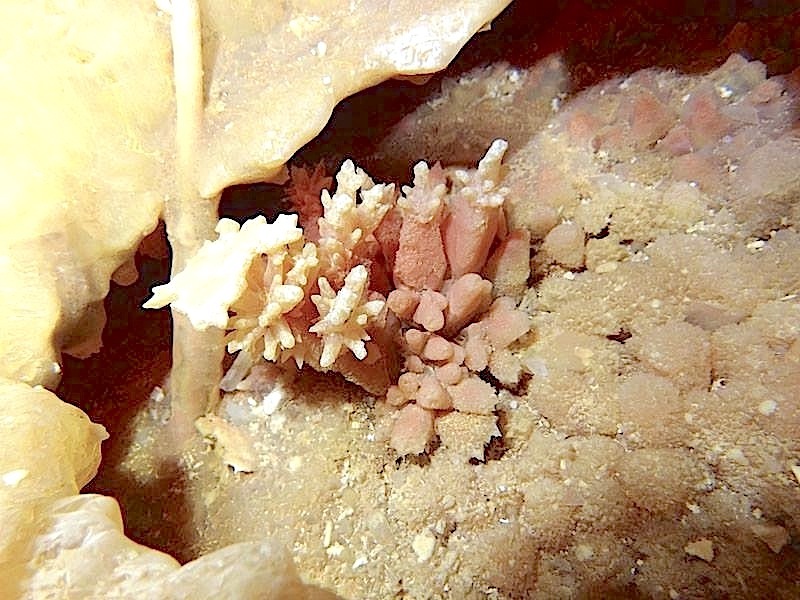 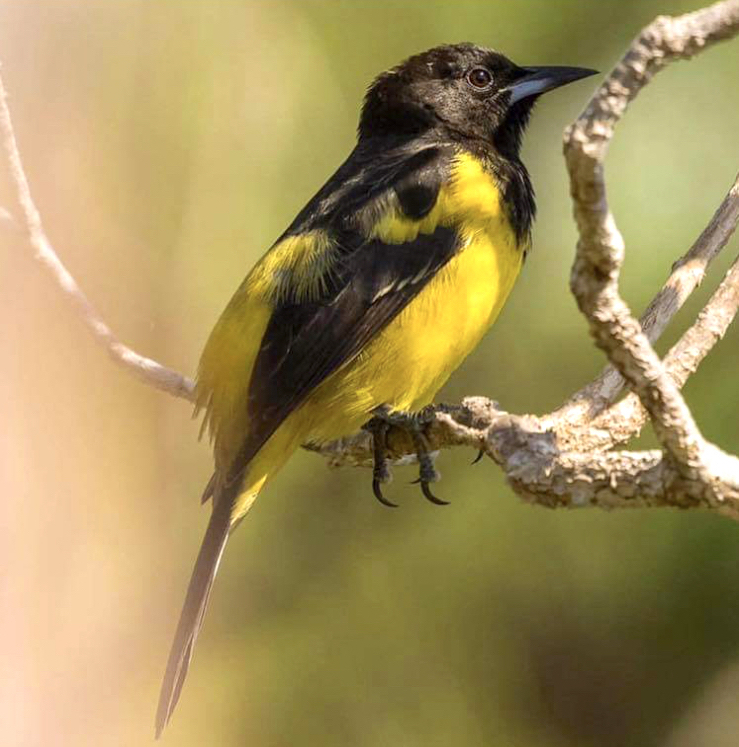 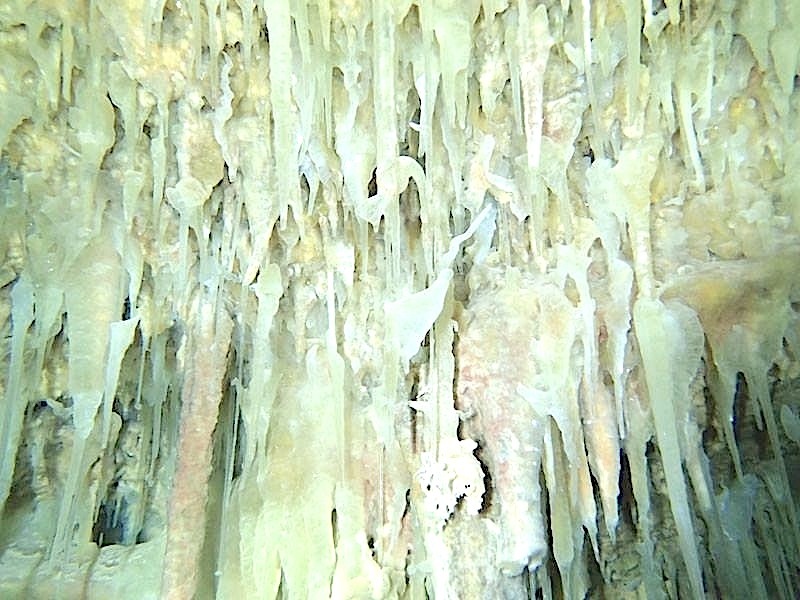 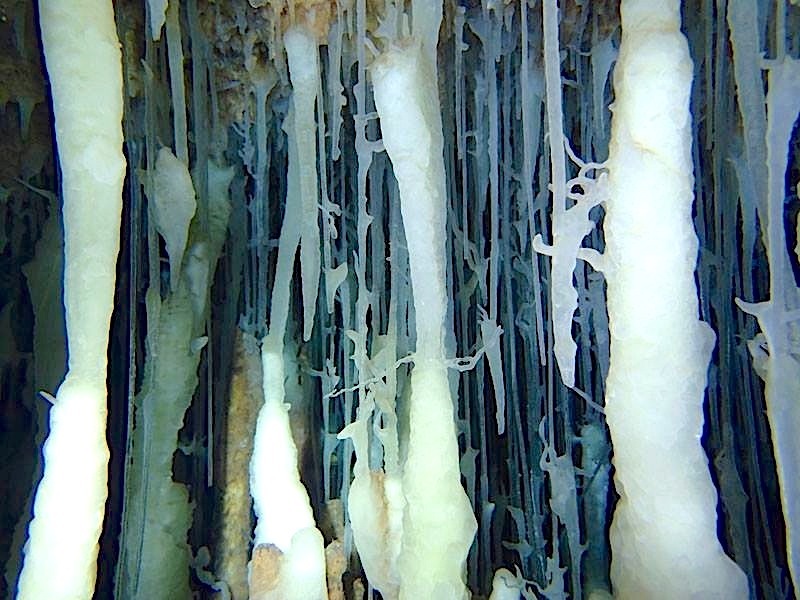 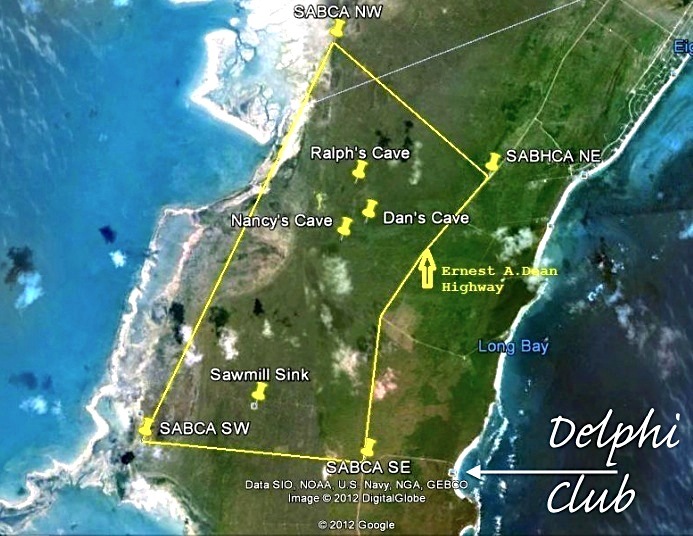 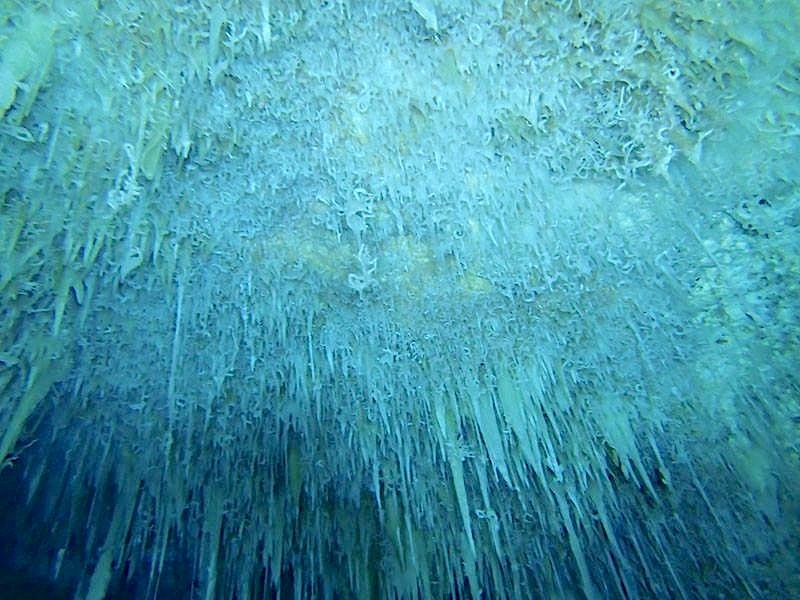 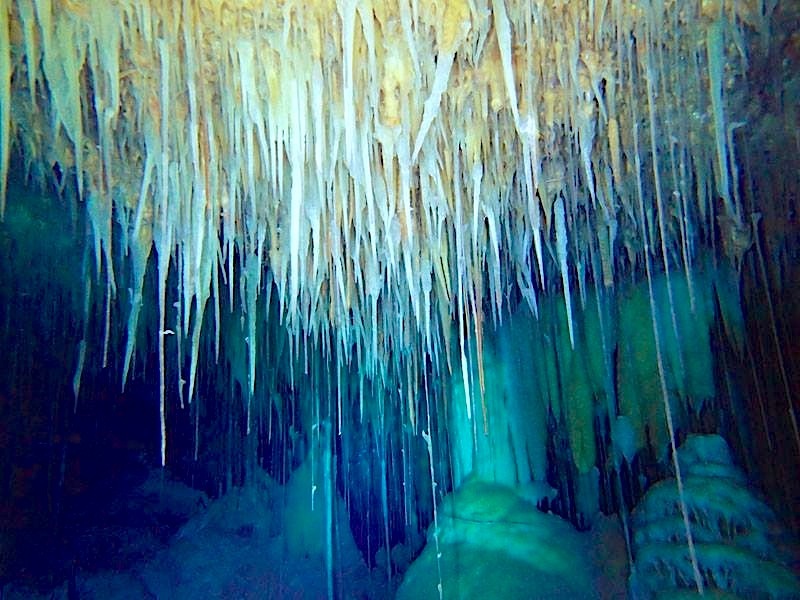 June brought news of a wonderful exploration of a near-inaccessible part of the Dan’s Cave complex in South Abaco, deep under the acres of pine forest. 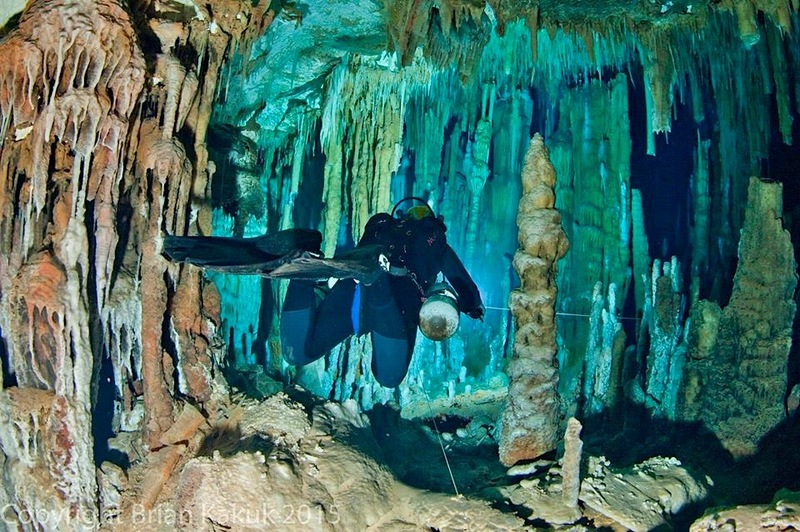 The expedition involved Brian Kakuk, Steve Bogaerts, Hp Hartmann, and a ‘Razor’ sidemount camera. 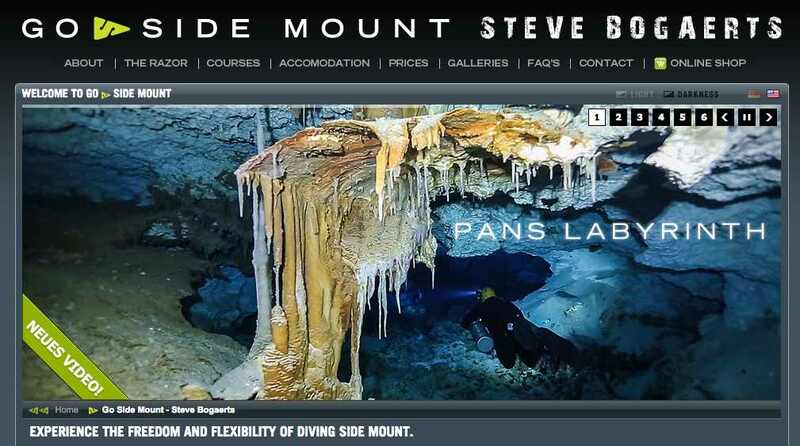 As Steve later wrote, “…I had the privilege to film probably the most beautiful caves in the world and to take my camera to places where nobody else has filmed before. 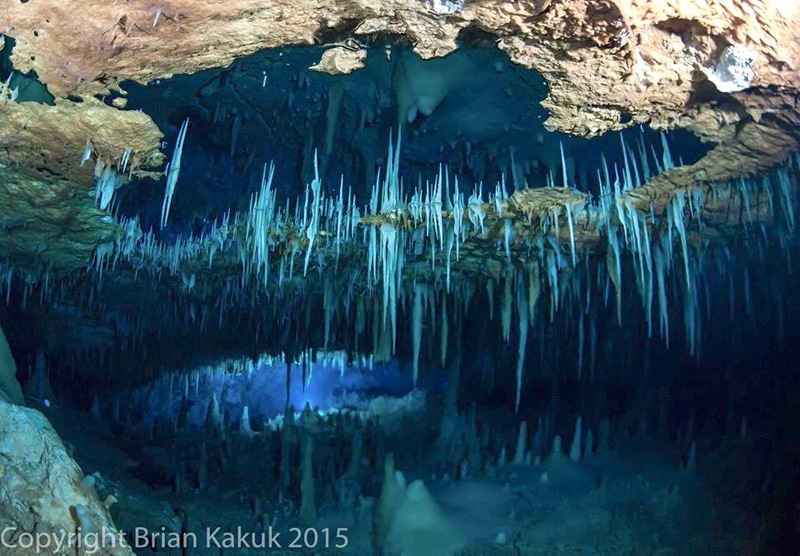 Special thanks to Brian Kakuk to make this video happen”. 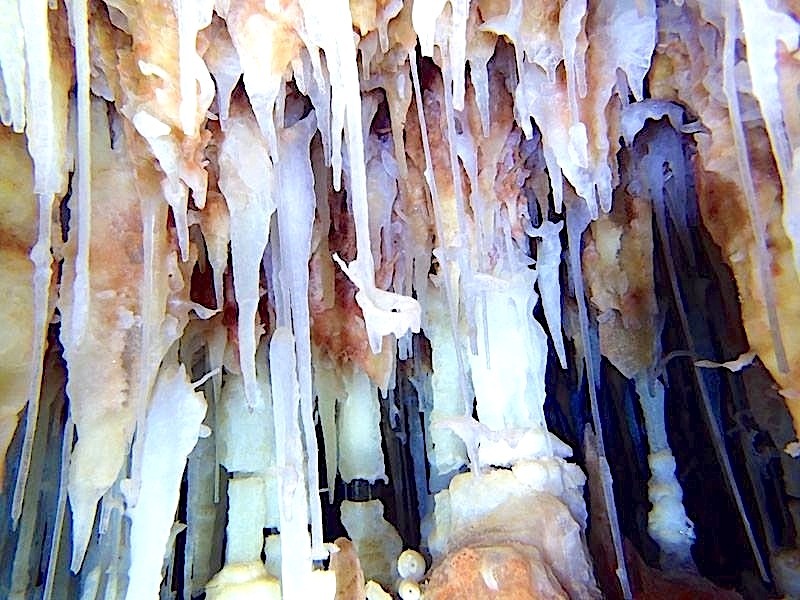 Apart from the amazing sight of the cave chambers themselves, the details of the crystal formations – often geometric -are remarkable close-to. 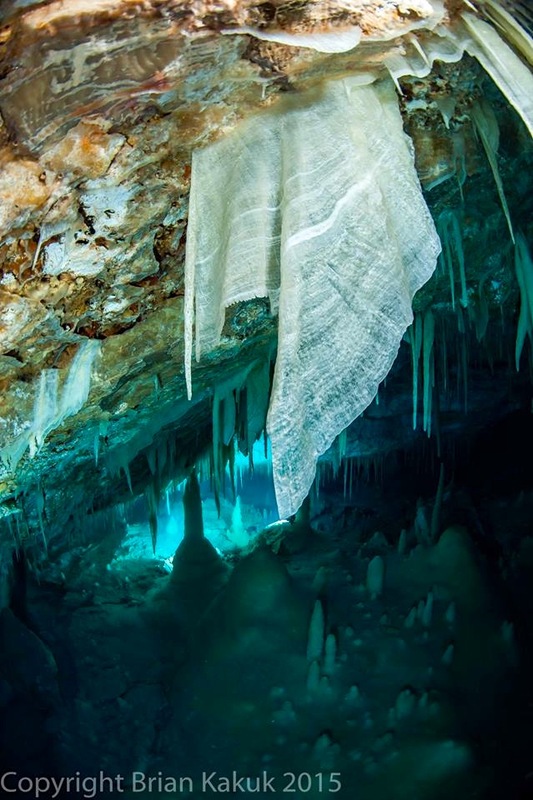 Here are 3 examples that demonstrate how they range from strong-looking structures formed over millennia to the most delicate forms such as in the third image that appear to be made from fine fabric. 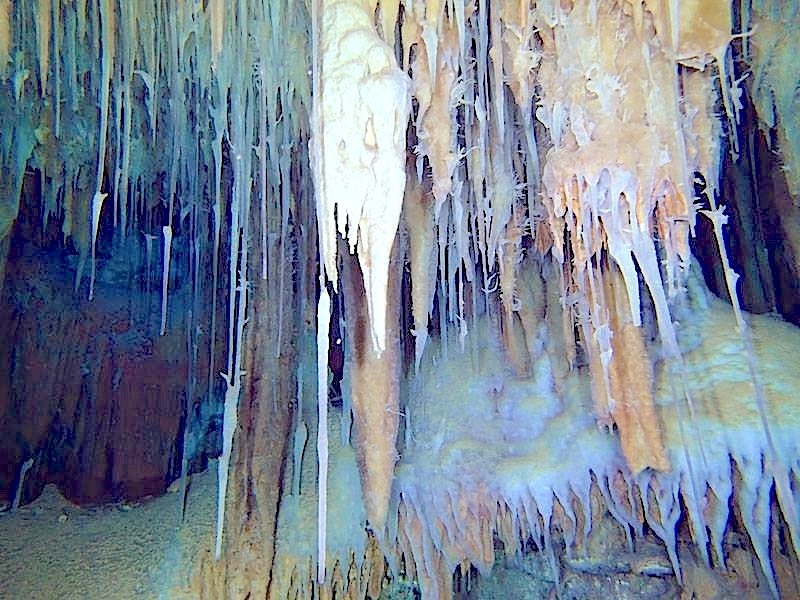 And if you wondering about the title of this post, this is the reason: Brian discovered a bat, believed to be at least 13,000 years old, entombed in crystal – not so much a fossilised bat as a crystallised bat… In other caves (at the Sawmill Sink blue hole for example), fossilised bones have been found, including of a prehistoric species of crocodile that must have lived on the island many thousands of years ago. 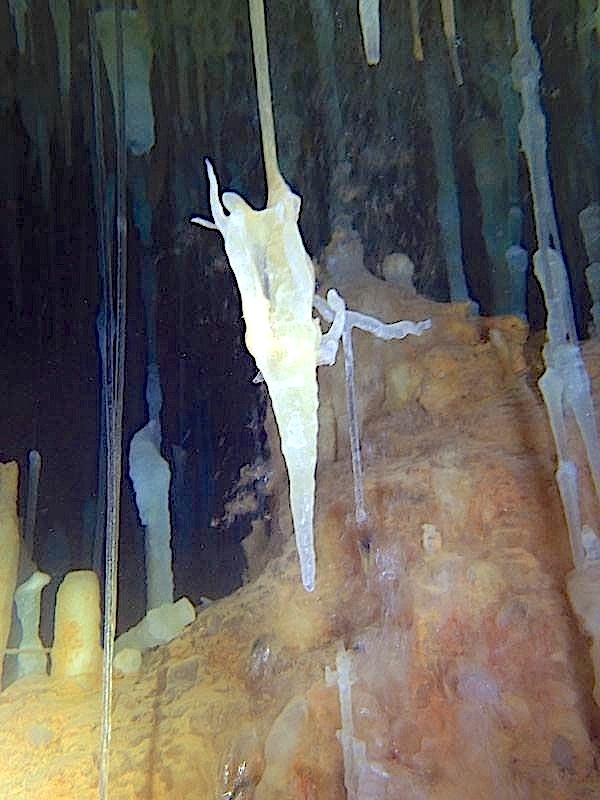 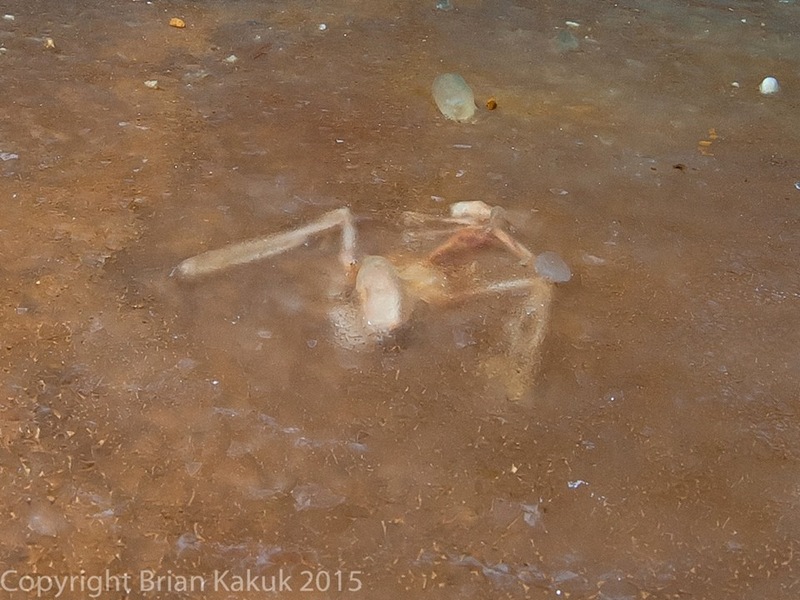 This is the first crystallised creature I have ever seen… I am checking with Brian whether he has seen anything else quite like it during his explorations.